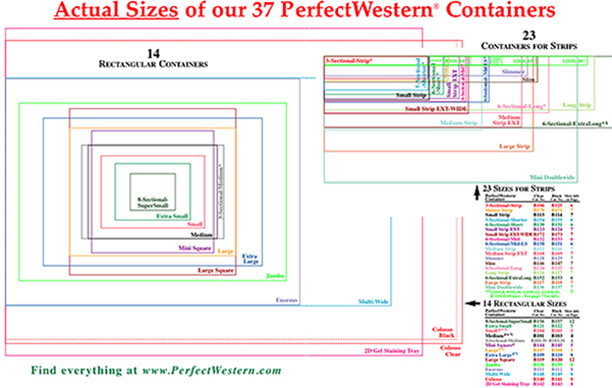 We offer these 11 PerfectWestern Containers in standard single-chamber (non-compartmented) format for membrane strips. All containers are available in clear & black versions. 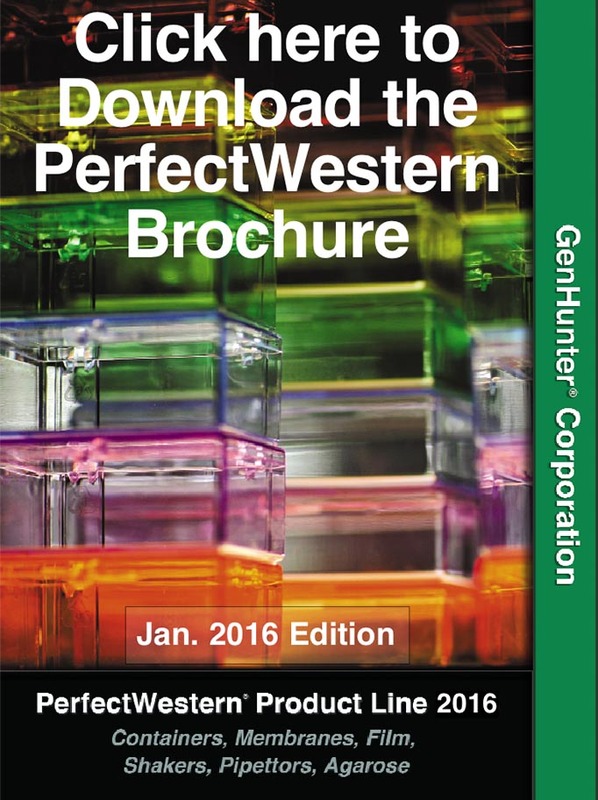 Dimensions, Catalog numbers, and Recommended volumes are listed in the Specifications Tab. We have another 12 Single-chamber containers for full blots (Click here) as well as 14 Compartmented/Sectional containers (Click here). *Notes: The "Slim" container is not currently available in either clear or black versions. We hope it will be available again within 1-2 months. "Volume" column refers to solution volume (minimum & recommended) required to cover a membrane during Western blotting. These volumes are variable and depend on several factors including your rocker/shaker & how expensive your antibody is. Dimensions listed are L x W x H.